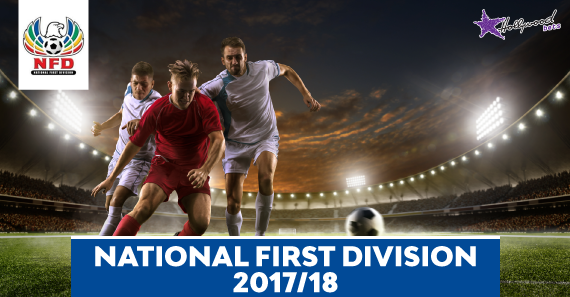 Our football analyst previews the NFD week 20 action which kicks off on Saturday 3 February 2018. Two thirds into the 2017/18 NFD season, it looks like Highlands Park will easily regain PSL promotion as they are now seven points clear at the summit of the standings with 11 games remaining. This weekend they face embattled Royal Eagles. Jomo Cosmos who have dropped points in their last four matches are still in the top three and they do battle with University of Pretoria who still fancy their chances of promotion. Highlands Park are riding the crest of the NFD wave with a seven-point gap on second-placed Real Kings. The Lions of the North have only lost one match at home in the current campaign. Danger man, Moeketsi Sekola, who’s been recalled from his loan spell at Chippa United, has been in impressive scoring form since his return, including a brace in his first game back against Super Eagles. Royal Eagles are third from the bottom with 19 points in the same amount of games. The KZN outfit has only won one match away from home this season and that was the derby against Richards Bay FC in their own province. This should be an easy win for the hosts. Richards Bay head into this one on the back of two winless matches, however, they had won three matches on the trot prior to that. Last week they managed to hold high-flying Highlands Park to a goalless draw away from home. Cape Town All Stars are unbeaten in the last six games and they lie 10th on the NFD standings with 25 points in 19 games. Overall, they have won six, lost six and drawn seven games so far this season. I foresee the visitors overcoming The New Rich Boyz. Tshakhuma are unbeaten in the last five games, which includes three wins and they are now tied on 30 points with third-placed Jomo Cosmos. They will be hoping to challenge for PSL play-off positions and with Cosmos dropping points in recent weeks, they know they stand a big chance. NFD strugglers, Mthatha Bucks, are second from the bottom, but last week they recorded a shock 2-0 victory over Mbombela. Mpo Erasmus scored a brace which saw his goal tally move to 10 goals for the season. Tshakuma should be able to overcome this potential banana skin. Ubuntu Cape Town are rooted to the bottom of the table and they followed up a 3-0 defeat at the hands of Highlands Park with a hard-earned point, courtesy of a goalless Cape Town derby against Cape Town All Stars. Black Leopards have been too inconsistent this season with a record of six wins, six defeats and seven draws. Last week they grinded out a 1-0 win at home against Royal Eagles. I’m expecting Leopards to win this one too. This could be a decisive match in University of Pretoria’s season as a defeat could see them losing ground on the promotion chasing pack. AmaTuks are winless in the last six matches across all competitions, which includes five defeats. Jomo Cosmos are also going through a slump as they are without a victory in the last four matches. Losing Mxolisi Macupu and Linda Mntambo to Chippa United in the current transfer window seems to have dealt Jomo Sono’s team huge blow. My money is on Cosmos. Witbank Spurs have drawn the most number of games in the current campaign, with 10 matches involving them ending in stalemates. It shall be interesting to see how they deal with promotion-chasing Kings. Real Kings have been getting the desired results in recent months and they now lie second on the standings, seven points behind top-placed Highlands Park. Their key focus should be consolidating their PSL play-off spot. Kings are tipped to triumph. Mbombela have won only one of their recent five matches and last week they went 2-0 down to relegation-threatened Mthatha Bucks. With 28 points to their name, which is two points below third-placed Jomo Cosmos. They will be hoping to turn their fortunes around sooner than later to try and contend for promotion. Super Eagles have only won four matches in the current campaign and the rookies managed to hold more experienced Stellenbosch to a goalless draw. Back Mbombela to collect maximum points. The main source of intrigue in this match is the fact that Sammy Troughton, who helped Stellenbosch secure a PSL play-off spot last season, will be on the opposite bench. In his first match in charge of the team last week, he beat Jomo Cosmos 1-0 which vindicated the club’s decision to sack Ronnie Gabriel. On the other hand, Stellies are six points above their opponents but they can’t take from granted as the hosts have been surprising big teams at Princess Magogo Stadium and this time they’re playing against a coach who knows them very well. The Troughton factor should help the Cane Cutter secure a victory. Labels: AAA Benedict Ngwenya, analysis, betting tips, Eggs Benedict Ngwenya, Highlands Park, NFD, predictions, Royal Eagles, sammy troughton, soccer-previews, Stellenbosch.